Shopping for a new vehicle in the Miami area? 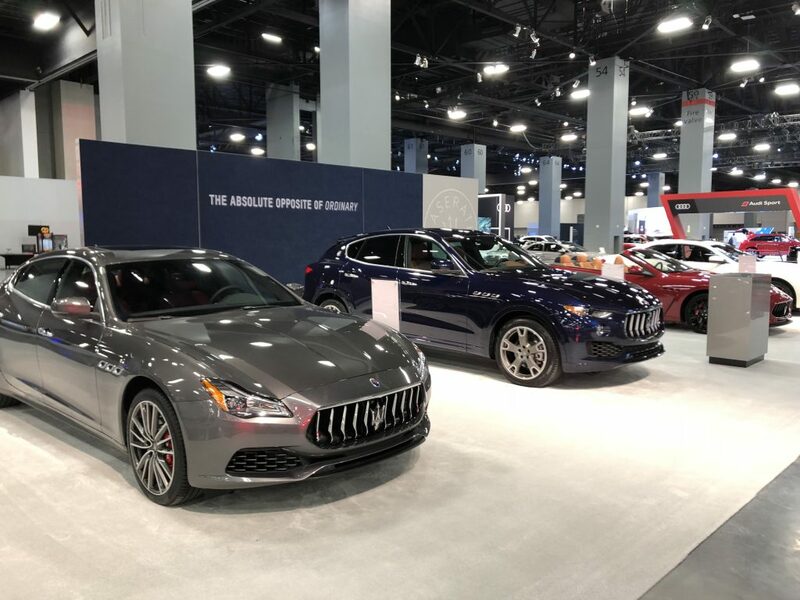 Check out the latest offerings from all the major brands and some exotics at the Miami Beach Convention Center now through next Saturday, October 13. Fun exhibits include Havana Classics, a collection of rare antique beauties, and cherry muscle cars. And you can do actual test drives of several brands back to back in one location. Volkswagen, Toyota, Nissan, Chevrolet, Mazda and Cadillac will be there to road test. Plus, take a free shot at winning the all-new 2018 Nissan Kicks, a scrappy small Ute. This Vroomie had a few favorites we saw at the show. Lexus debuts the striking redesign of its enry-level luxe coupe the RC300. 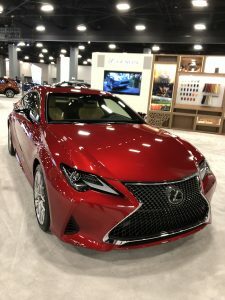 Its updated styling takes its cues from Lexus’ dramatic flagship coupe, the LC500. The Lexus RC also now interacts with Amazon Alexa to activate various functions and includes Apple CarPlay. Genesis, the luxury marque from Hyundai, wowed us with its exquisite concept exotic, the Essentia. With a space-age interior, gullwing doors that fly open, and Uber-cool blacked-out cockpit, Essentia is what a next-gen Batmobile should look like. 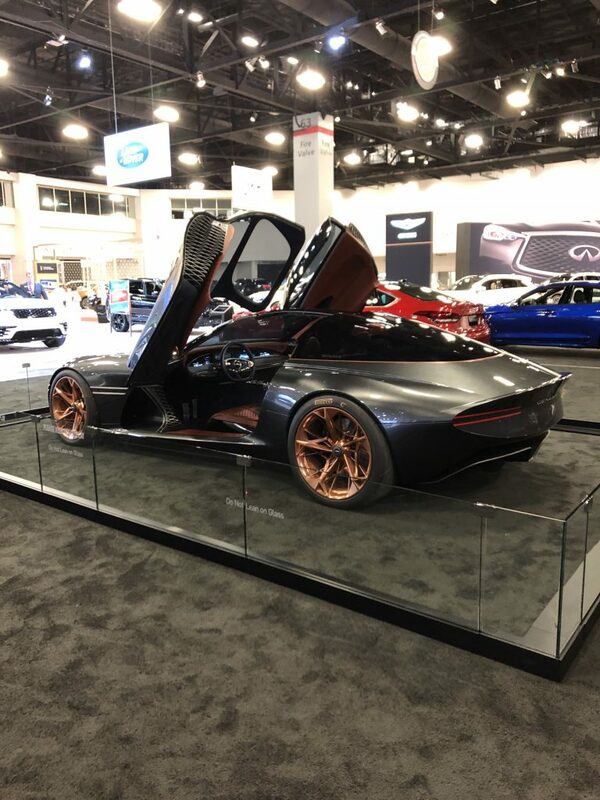 VroomGirls’ pick for hottest car at the 2018 Miami International Auto Show: hands down, it’s the Genesis Essentia. We love the space age vibe and gullwing doors. 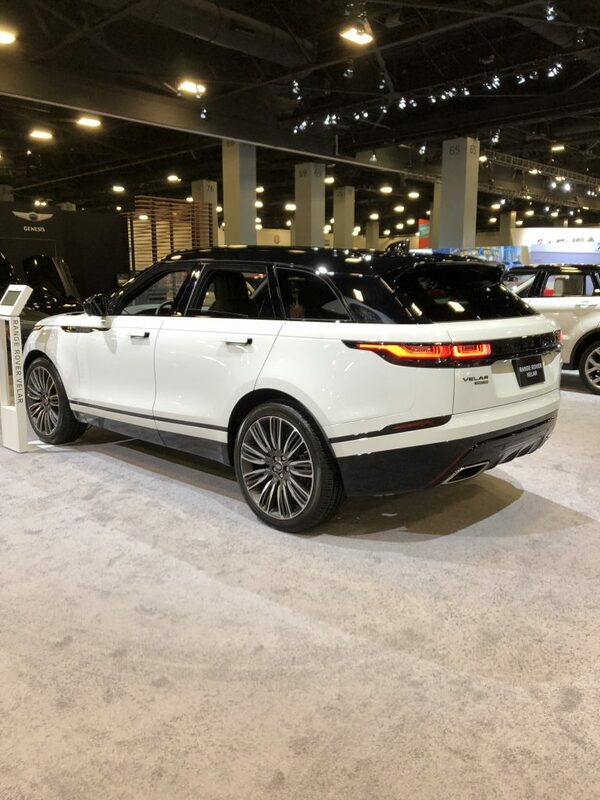 We also loved the great looking vehicles coming from Range Rover, including the 2019 Discovey Sport and the 2019 Velar. The I-Pace from Jaguar, and it’s electric cousin, the E-Pace are must-see vehicles, as are Porsche’s sassy 2-seater 2018 Cayman, the can-do small-yet-mighty Macan GTS and the plug-in Hybrid 2018 Panamera Turbo S-E Hybrid Sport Turismo. Another head turner is the all-new Lincoln Nautilus, which is shown in a rich milk chocolate brown, and can be customized in a number of ways. 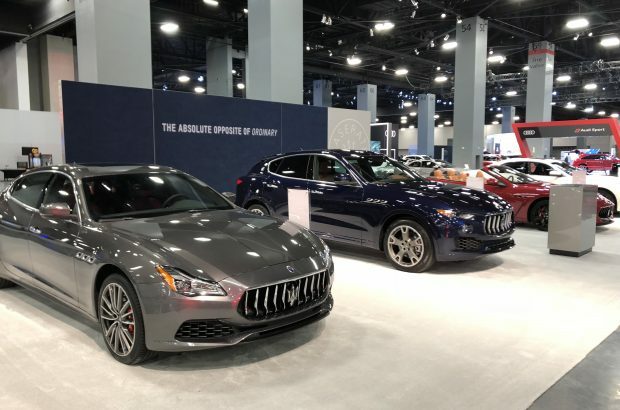 For more information, including prices and show hour, visit MiamiAutoShow.net.